A rapidly-growing chain of European-style coffee shops has very quietly opened yet another location in the Greater Boston area. According to a Twitter post from the company, Caffe Nero is now open in Brookline Village, with the Harvard Street spot giving out free coffee until 3:00 PM today, and having normal hours starting tomorrow. A few months ago, we learned that the chain was looking to open in the Washington Square section of Brookline, but we had not heard anything about one coming to Brookline Village until this morning. 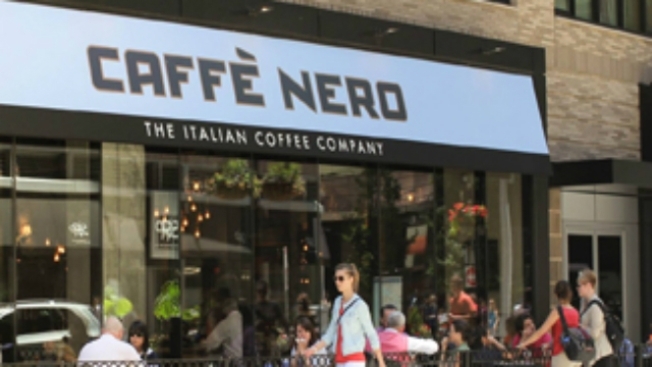 In addition to the new Brookline Village shop, the London-based Caffe Nero chain currently has locations in Boston's Downtown Crossing (two), the South End, Fort Point, Longwood, Jamaica Plain, Cambridge's Central Square, Andover, and Wellesley.